Leigh Read's life changed forever when he entered secondary school in England decades ago. It was the 1980s, and switching from the comfortable lifestyle he'd enjoyed in his pre-teen years to a mixed junior high and high school meant entering a hive of bullies prepared to abuse and victimize younger kids like him. "I didn't think I was going to experience it and unfortunately I did experience it on the very first day," he said. "I had a sports bag wrapped around my head … and I was told that would continue on." This experience and the bullying that followed led to what has become a long struggle with mental illness and, around Bell Let's Talk, Read opened up about the tough times he experienced and the man he's become today. The bullying of the 1980s continued and there was no one to talk with about it, as his friends had turned a blind eye fearing they'd be bullied as well. The pit of loneliness that swallowed him lasted for years as he would hide away, curl into a ball and cry just to find any way to deal with the mental torture, he said. "You feel sick the whole time. The nauseous feelings of it, the headaches," he said. "Somebody is saying you're worthless, your head is saying you're worthless and you got nowhere to go." Growing up in that environment was only made worse by a tough life at home. Read spent years thinking he had no place in school and no place at home. During this period, the only time he found solace was on the pitch, playing soccer and rugby. "Sport was everything to us," he said. He said on the field with a team you're comforted and "circled by the people who will look after you" but once the games were over "you're on your own again." Sport allowed him to build a circle of trust and were a constant for him throughout his life. As he grew up he continued to keep with sport, establish important relationships and have a family — his own little circle of trust. "If you are loved, like I am by my wife and my children, then I must be doing something OK. So you build on that," he said. Once you start to build more circles of trust, you begin to feel like you're doing something right, he said. Then, you "put all those pieces together, make a quilt and you wrap it around you and you think 'actually, I can do this,'"​ he said. His anxiety did resurface several years ago, however, when people entered his life and began taking advantage of him. "I was letting someone else drive my bus, or I was letting people on my bus that were taking a free ride from me in life and I had to stop that," he said. Before he did that, his anxiety and depression forced him into "the bad place" where he was once again convinced he was worthless. "I didn't think anybody could see me, I couldn't see the sun, I couldn't hear the birds, I couldn't smell the grass. I just felt like I was in a cave." Except a friend of his approached him and helped him correct his path. "A really good friend, who I didn't even know was a life coach, said 'Leigh, you're not yourself' and for the first time in six months I went 'Wow, I've been seen.'" 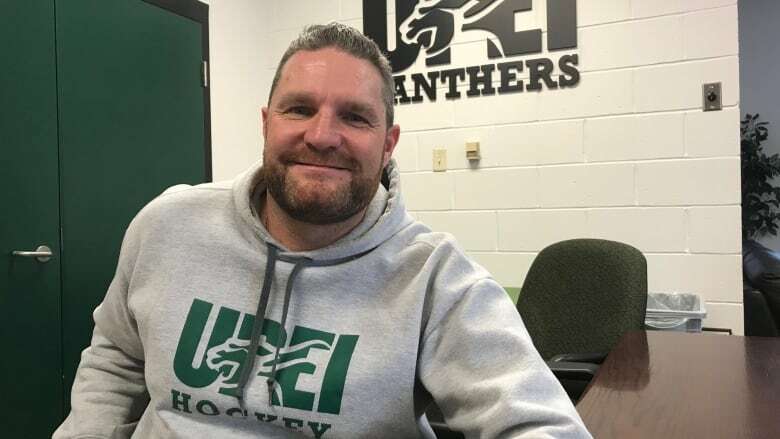 Talking with his friend allowed him to really see life again, and soon after, Read and his wife Cindy moved to Prince Edward Island where he is now working with UPEI's athletics department and has become an advocate for mental health. He said he hopes to help people by sharing his story and wants to encourage others to be kind to one another. "A simple smile, open door, thumbs-up, handshake can change a day and can change a life," he said. "And the more we can talk, the more we can communicate and the more we can look after each other. Then we'll be in a pretty special place."